For detailed instructions, please see below. 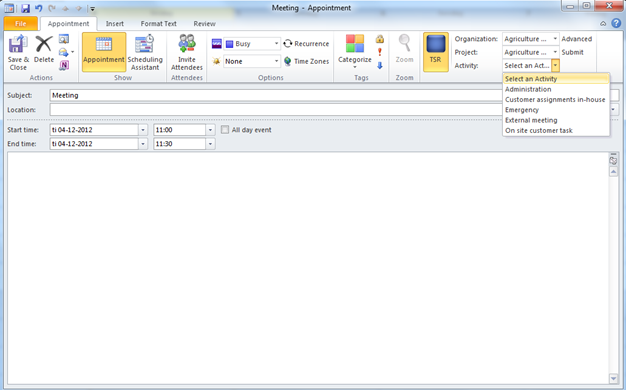 Step 1: Create/open an appointment in your Outlook calendar as you normally would. Step 2: Click on the TSR icon. 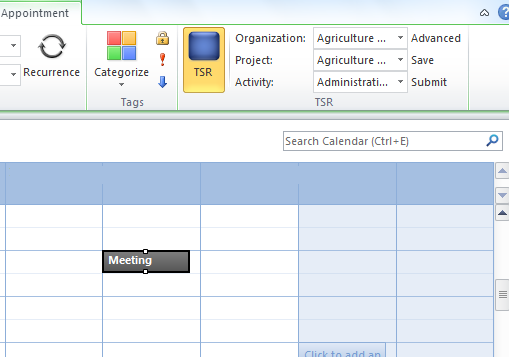 Step 3: Select an organization, project and activity. 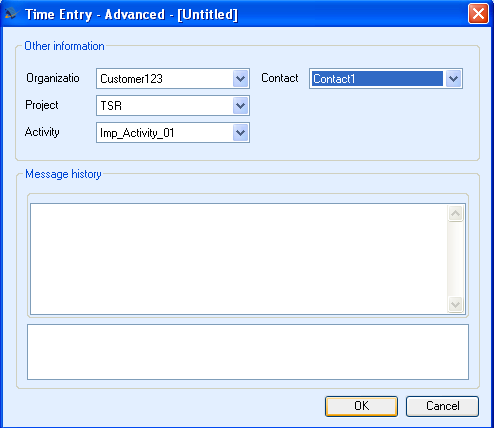 Step 4: Enter other values for the time entry such as Subject, Location, Start time, End time and Description. Step 5: You can optionally add more information by clicking on the Advanced button, and add a contact as well as comments for your supervisor, and click OK. 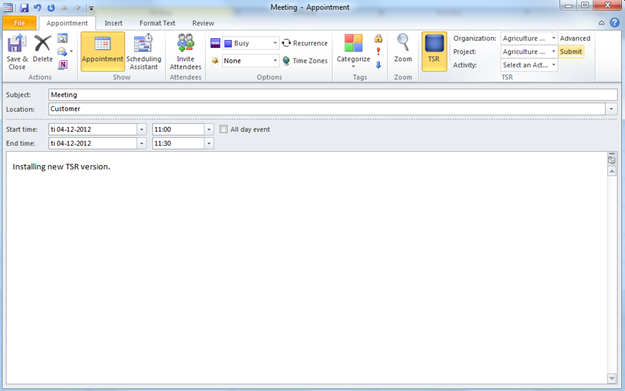 Step 6: Click on the Submit button to submit the appointment now, or “Save and Close”. You can then later open it again and click Submit.